China’s annual parliamentary season – the “Lianghui” – has opened in Beijing, after a winter of the worst air pollution the city has ever seen. At the top of the agenda is selecting the new leadership of central government, its ministries, and commissions. But for the public, dealing with environmental pollution is more important. The people can no longer overlook the government’s failure to act on the environment. Looking back over the achievements of the Ministry of Environmental Protection (MEP), the central government body in charge of the environment, its record in the last decade can be divided into two: five years of storming progress, then five years of nothing. In the first five years, there was no MEP, merely its predecessor the State Environmental Protection Agency. Despite its lowly status, SEPA had the courage to act, which was encouraging. But after promotion to ministerial status brought greater powers and boosted career prospects for its employees, there was little action of note. Among SEPA’s actions were its “environmental storms” – its strikes against law-breaking companies, including the huge electricity giants. It also ordered regional planning restrictions, preventing law-breaking local governments from approving new projects until changes were made. It called a halt to an illegal project at the Old Summer Palace lake and held public hearings on the case, making it a case study for public participation and democratic decision-making. And it researched regulations on regional environmental impact assessments and a green GDP measure designed to solve over-reliance on financial GDP measures. More importantly, five years ago the environmental authorities issued interim rules for public participation in environmental impact assessments, and regulations for the disclosure of environmental information. The environmental authorities were the first government body to apply State Council rules on information disclosure and issue detailed guidelines on implementation. But in the following five years there was virtually no sign of similar proactive measures. Instead, we saw half a decade of widespread disputes and protests over environmental interests. In 2011, the number of environmental protests increased 120%. Last year brought demonstrations in Ningbo, Shifang and Qidong. Large projects that ignore environmental and social impacts, as well as the public’s right to participate, are the root of social unrest. But the MEP seems to consider this none of its business. The public’s right to know and participate are key to resolving conflict. If the MEP had, over the last five years, enforced its rules on disclosure of information and public participation, some of these conflicts would have been avoided. The last five years have also seen the MEP loosen environmental impact assessment requirements, allowing large projects nationwide – and particularly in ecologically fragile west China – to go ahead unimpeded, with the power giants free to destroy rivers. To curry favour with the former boss of Chongqing, it agreed to break up a Yangtze nature reserve to facilitate the building of the Xiaonanhai dam – leaving the rare and endemic fish of the upper Yangtze without their last refuge. These five years have seen pollution incidents increase, with air pollution already more than the public can bear. Food safety scares have been frequent, while contamination of rivers, lakes, oceans and groundwater has worsened. 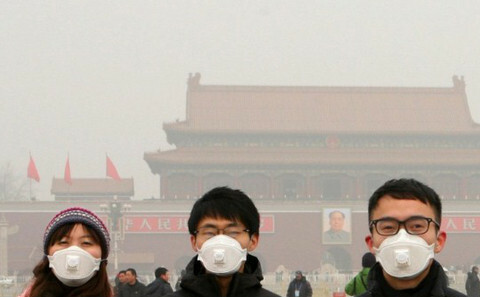 The country has 200 “cancer villages”, and in Beijing cases of lung cancer have increased 60% over the last decade. Although the MEP cannot take sole responsibility for all these crises, as the central government body with responsibility for environmental protection it can hardly absolve itself of all blame. If it had done all it could and still failed, it could at least justify itself. But we see it delay, neglect its duty, pass blame, prevaricate, and even make things worse – as seen at Xiaonanhai. It is utterly disappointing. On air pollution, the MEP refused to include PM 2.5 data in air quality monitoring and publish air quality indexes for Chinese cities. Only when central leadership pushed the issue did it come up with a timetable for doing so. It is not the public that fails “correctly” to regard air pollution, but the MEP itself. It is of course a difficult and long-term task – but the public still hopes to see action, rather than a ministry hiding behind the excuse that this is a “drawn-out fight”. On the causes of such severe air pollution, the vice-minister cited “unscientific development” and “the number of cars”, along with “ideas of some local Party committees and governments”. He did not mention the failings of his own ministry. Groundwater pollution has been a matter of public concern since the Chinese New Year. The public urgently needs accurate information on this huge environmental and health issue. But the MEP has, as usual, held its tongue. When lawyer Dong Zhengwei requested soil pollution data, the MEP claimed it was a “state secret” and refused. Soil pollution affects people’s health and is a matter of public interest. It’s ironic to see the MEP use such a clumsy excuse to ignore its own excellent rules on disclosure of environmental information. For the MEP, the last 10 years can be summed up as “a strong start, and a weak finish”. The key reason is the nationwide worship of GDP figures – “sustainable development” and “an ecological civilization” are nothing but slogans. Another key reason is that certain government departments and officials remain silent and inactive. China faces an environmental crisis, with water, air and food all unprotected. The MEP and other government departments are not up to the task. The Lianghui will see a change of government, and we hope this will invigorate the environmental authorities to do a little work.